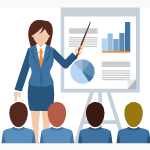 Our MS PowerPoint Basic course offers the student an opportunity to learn the fundamental groundings of producing a business presentation using slides and graphics. 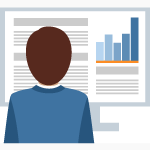 It is expected that you have a certain basic knowledge of using a computer but no prior experience with Microsoft PowerPoint. 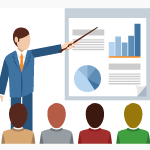 Our MS PowerPoint Advanced course encourages the more confident PowerPoint user to explore new techniques in producing business presentations including sound, animation and video. Previous training and a working knowledge of Excel are needed before embarking on this course.